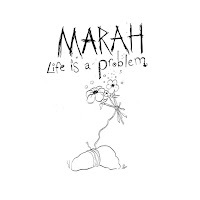 With his bandmate brother Serge taking a break to raise a new son, Dave Bielanko retreated to an old farmhouse in Pennsylvania’s Amish Country to record Marah’s tenth album, Life Is A Problem. With the band whittled down to only a two-piece, Dave, along with Christine Smith, gathered up every musical instrument they could get their hands on to craft this new batch of songs. The results are eclectic, loose, ambitious, unpolished and really engaging. Whether it was the isolated conditions, the new band dynamic or just the progression of life in general, there’s something really special going on in Life Is A Problem. 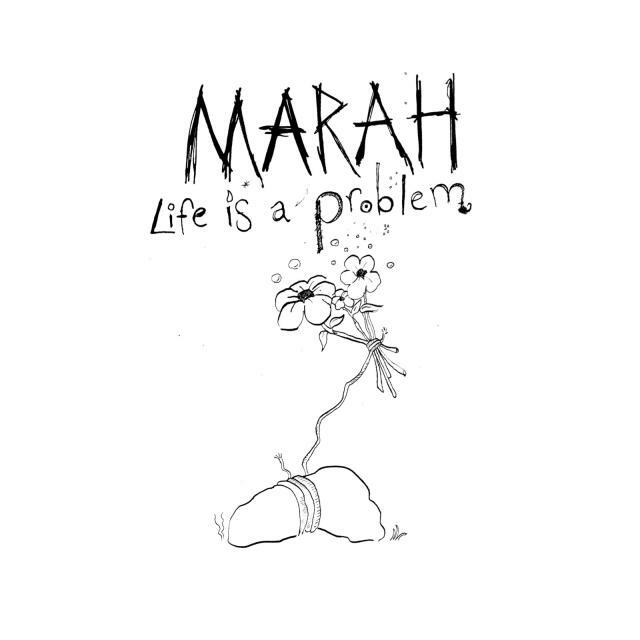 Previous Marah albums have toyed a little with different genres and feels, but for the most part they have stayed pretty close to the standard “rock band” arsenal of guitars, bass, drums and occasional keyboards. However, for Life Is A Problem, Dave and Christine went all “Phil Spector in a pawn shop” with the spectrum and quality of instruments they used. Ukulele, xylophone, bagpipes, accordion, banjo, fiddle and more show up alongside, as they describe it, “flea market drums,” “rusty harmonicas” and “a free church piano.” With such a vast array of sounds to play with, the songs have an incredible playfulness and energy to them. Instead of strict song structures and repeating musical patterns, instruments float in and out of the songs effortlessly and comfortably. This type of approach creates a relaxed and unique listening experience. While a few of the songs, “Valley Farm Song” and “Put ‘Em In The Graveyard” for example, are just catchy enough to be released as singles, the majority of the songs fit best within the context and feel of the album as a whole. The spacious, slower songs are exceptionally raw and beautiful along side each other as squeaky violins and gently plucked banjos seamlessly flow together with strummed acoustic guitars and “mostly” in tune pianos. Just like I find something new to laugh at every time I watch “Monty Python and the Holy Grail,” I have a feeling I’ll find a new sound or lyric with each spin of Life Is A Problem. Life Is A Problem will be released digitally on June 22nd and on vinyl and cassette (but not cd) on July 13th.